The first book I ever wrote was a collection of lewd songs children sing in grade school called Gross Songs Kids Love. However, due to file mismanagement and The White Album Problem, I no longer have the book. It was originally written in PFS Write on a Zenith personal computer with a 5 MB hard drive. It was written between the years of 1988 and 1994. It’s not like I didn’t have a version in Windows. My father helped me convert the files from PFS Write to a file that could be read in Windows by “printing to file”. I had to have a computer that could read the 5 and 1/4 inch floppies, which my Windows 95 computer did. I copied the files from the Zenith PC to the Gateway 2000 PC running Windows 95, which was used as the family PC. There the files sat as I got on with high school, swimming, and Shog. By the time I had my own Windows 98 computer I failed to copy the book to the new PC and therefore lost the digital copies. But what about the physical copies? After all, I printed it out on the attached dot-matrix printer. What came of those? In my physical file cabinet in my office I have not one, but four “Things I’ve Written” folders and not one of them contains a copy of the book. It may be somewhere else in the file cabinet, but it just goes to show that even paper copies can be lost (or is that more obvious – I can’t tell anymore). My children are now of the age when I started writing this book, but when I look at what they are creating, it pales in comparison. Even though I’ve bought them Snagit to record Minecraft videos on Youtube and it’s easier than ever to create content, they have little to show for the available resources before them. I blame myself for not pushing my children to create more works despite my own professional advice to business owners to create content to market their businesses online. How does that saying go, “the cobbler’s son has no shoes?” Don’t be that guy, Erich. 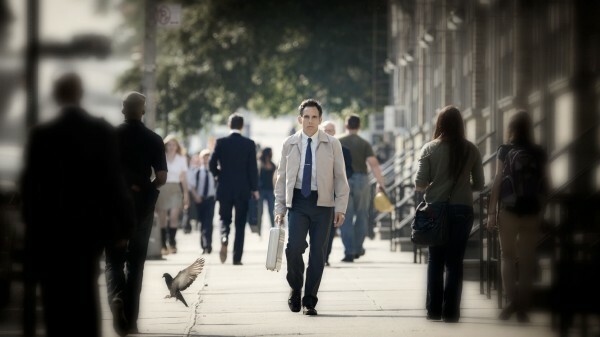 The Secret Life of Walter Mitty debuted in the United States on December 25, 2013. This review focuses on the how the film is an essay on the transition from analog to digital – made for and by the children of the 70’s (otherwise known as Generation X), the “analog vs. digital” and “disrespect for the past” themes, “the purpose of life”, and symbolism in the film. Most of this is from memory and is my own opinions. I have not read any other reviews on this movie, but have seen the movie and trailers. In #Mitty, the movie, the actors and the director are all Generation X. Stiller was born in 1965 and is currently 48 years old. To give you perspective on the person writing this article, I was born in 1980 which makes me part of Generation X, Y, and the Millennial Generation, however I’m most likely Generation Jones. While I was able to pick up on a lot of the references and music used in the film, there are still things that I didn’t ‘get’ like the name on the t-shirt Mitty’s mom kept for him. The movie is full of references to Generation X. Mitty’s sister is auditioning to be Rizzo in Grease, a movie that came out in 1978. She gets him a Stretch Armstrong (debuted in 1976) doll for his birthday. Mitty has a Jansport hiking bag (popular in the 80’s). At the end of the movie Mitty is wearing a hoodie sweatshirt, a leather strap necklace with a copper hex nut, and friendship bracelets. There are also several scenes referencing “Major Tom“, which is a fictional character created by David Bowie in the late 60’s. You can always tell about how old you are based on what music appears in commercials and it’s becoming apparent that the markets have begun marketing less to the Baby Boomers and more to their children, Generation X. No where is that more apparent than in this movie, which is filled with product placements tucked in and tied to the story line from eHarmony to Papa Johns to LIFE.com, but with nods to Conan O’Brien, TBS, Cinnabon, Dell, CareerBuilder.com, KFC, Instagram, the iPhone, and American Airlines. Generation X was the last generation to graduate high school and enter the workforce before cell phones and Internet access became ubiquitous. 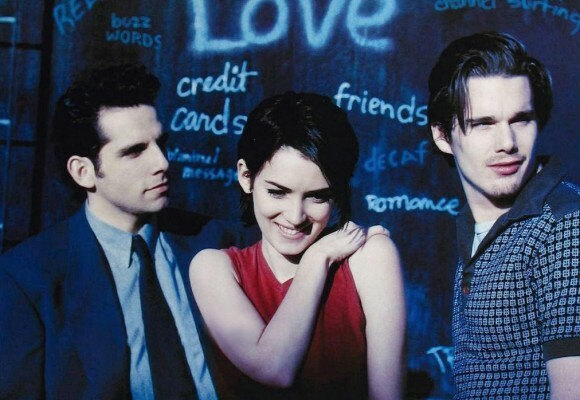 Ben Stiller’s directorial debut, Reality Bites, which came out in 1994, was the same year Netscape started. The World Wide Web had just begun and yet it was already clear that things were changing. 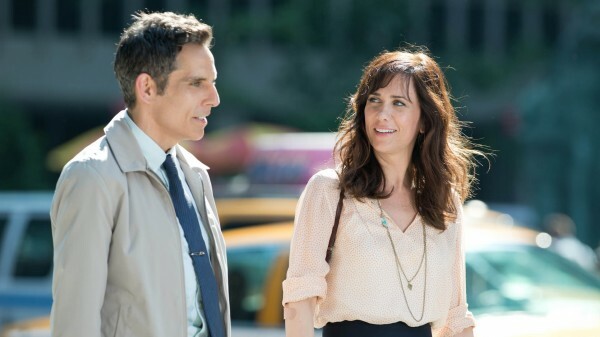 It appears that Ben Stiller, despite the success he’s had since then, still longs for a time when things were more simple, more analog – and is betting his audience does too. While Walter Mitty does have a computer, it’s an older model, Dell laptop, which echoes his cell phone, an older flip-style phone. In contrast, Cheryl’s character uses a modern smartphone with Internet access. She still uses terms like “buffering” when searching the Internet (something she probably doesn’t have to do and isn’t a term used much any more). On the flip side, the photographer, Sean O’Connell does not have a phone at all – nor does any place Sean is currently located (ie. a shipping boat). While on the shipping boat, a deck hand takes a picture with his smartphone for Instagram, and asks to be Facebook friends. This foreshadows Mitty’s meeting with Sean O’Connel in Afghanistan who doesn’t take a picture at all, instead choosing to remember the moment as “me”/himself without the camera. This lost desire to be ‘in the moment’ shares a sentiment with those who identified with Charlene deGuzman and Miles Crawford’s I Forgot My Phone video which went viral in August of 2013. 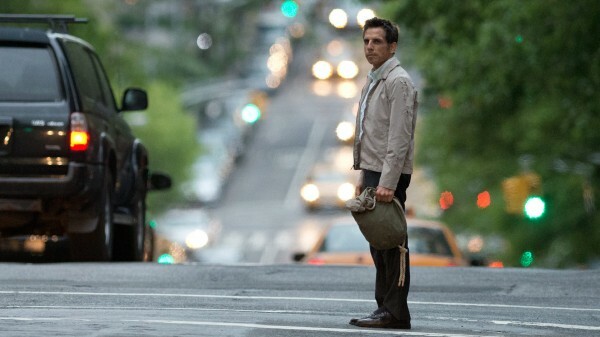 Walter Mitty works with analog film, something Kodak stopped making in June of 2013. Mitty’s co-worker, Hernando (which means “bold voyager”) has a man-crush on the photographer, O’Connell for still using film, which acknowledges he is well aware that although he is surrounded by film negatives, digital pictures have largely replaced analog film. Mitty states that he has never lost a negative despite “over a million” negatives passing through his care over the last 16 years he worked at TIME magazine. “Negative Asset Manager” is Mitty’s job title, but it’s also a metaphor for the deprecation of ‘everything that’s come before’. In the final scene of the movie, Mitty tells his former boss that the magazine has been built by many people over a long time, which the new boss is now treating as a negative asset on the balance sheet that needs debited or written off. The message is that businesses are created and ran by people, not balance sheets, and should be treated with more respect, even when things change. When Mitty’s boss, Ted Hendricks asks Mitty where the picture was, Mitty says it’s in a “silver bath” to which Ted does not even try to understand. He later asks someone else to look it up only to conclude that it “doesn’t exist.” Of course it exists, but simply Googling “silver bath” will only give you shiny pictures of bathroom accessories. You have to know that it was a part of photo processing, which is something older generations, even Generation X, understood – even if only in context. The most visual disrespect for the past occurs as Mitty is entering LIFE magazine for the last time and movers are literally dropping art onto the floor as they violently remove it from the walls. All of the desks are empty and covered in drop cloths like dead bodies, a symbol for the lost jobs and the lost magazine. After working at the magazine for over 16 years, during his 17th year, the job ended – a ‘death” which could be a metaphor for the death of his father, which happened when Mitty was 17. Off the coast of Greenland when Mitty jumps into the ocean, the captain of boat yells, “Don’t fear the porpoise,” which sounds like, “Don’t fear the purpose.” In this movie, Walter Mitty is 42 years old. In real life, Ben Still was 47 at the time of shooting the film. While younger than Brad Pitt, he still may have fears about the purpose of his life, just like Walter Mitty. Just like us. Just like me. He doesn’t want to be the old man bringing the news on a telegram. The most blatant symbolism used in the movie was with allusions to 35 mm film reels and negatives. From the lights in Mitty’s apartment hallway to the windows on the outside of his apartment building, to the dots on the glass in LIFE magazine lobby, to the fuselage of the Greenland airplane at night, the film perforations, also known as perfs or sprocket holes and rectangular acetone film frames themselves were apparent throughout the beginning of the film. The word “Life” was used throughout the movie, not just as the name of the magazine, but also in conversations Mitty had with Cheryl and his mother. It’s also referenced on the bottom of the longboard Mitty traded for in Iceland. In large print it says, “LIFIO”, which is Icelandic for “can survive”. Similarly, Cheryl comments to Mitty “last in, first out”, which is commonly shortened as “LIFO” in business process management. Find any more? Leave a note in the comments.